There are a lot of factors that contribute to an effective weight loss support system. Now that you’ve decided to move forward with bariatric surgery, it is important to complement it with wise eating habits, a solid exercise regime, and how well you sleep. Stress is an issue as well. Many factors play a role in being successful when it comes to losing weight. One of the most important things you can do is find weight loss support for your journey from start to finish. When you make a commitment to lose weight, it can be a lonely journey. You need a partner along the way, someone who will support you in your efforts. Go it alone and you’re more likely to give into temptation or become overwhelmed by that number on the scale. If you’re going to go the distance and reach your ideal weight, you need to create a support team. One of the best places to start when looking for support for your weight loss program, including bariatric surgery, is your physician. Talk to your doctor about your goals. Your physician will be able to help you form a plan of action that is safe for you. This can include a diet plan, recommended activity levels, medications that can help you to curb your appetite, and bariatric surgery. It is important to use your physician as your advocate. 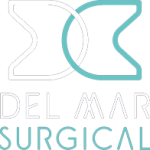 Be sure to check our Facebook account for announcements of hikes and other activities that Olde Del Mar Surgical is hosting. You’ll find that losing weight is easier when you have support from a weight loss buddy. Your weight loss buddy could be someone who also needs to lose weight or it can be someone you can depend on throughout your journey. Choose someone who will join you for daily exercise and help you to find creative recipes. When you have support for weight loss, you’ll find that it’s much harder to give up. Someone else is cheering you on and may be counting on you for weight loss support as well. Joining a gym is an excellent source of support for losing weight. You’ll find a variety of exercise equipment and exercise programs that can help you to make progress. Staff members are at the ready to provide you with assistance, including targeted exercises and safety guidelines. You may find that a gym offers you the additional benefits of social interaction and a place where you can focus on fitness. If you are less likely to stick with the program at home, get out. Go to the gym for a wealth of support from others. In addition to the gym, your weight loss buddy, and your doctor, you can include weight loss support group to help you on your journey. When you are feeling tempted, frustrated, or need motivation, a support group can give you a place to go. You’ll be joined by others who understand your struggles. Find inspiration, ideas, and encouragement when the going gets tough. Share highlights along the way that can help others to reach their goals. You are all in it together, enjoying the benefits of support for losing weight. Your family needs to be a part of your weight loss support system as well, especially when it comes to the people who live in the same household as you. They’ll make it much easier for you to reach your weight loss goals if they help you to become active and make wise choices in eating. If you’re fortunate, your family will embrace a healthier lifestyle that is good for everyone. They’ll benefit as well while they support you. Losing weight doesn’t have to break the bank. You’ll find additional sources of support for losing weight when you search online. Blogs, articles, and digital books are at the ready, offering you a wealth of information. You can go to your local library to dig into available books that will provide you with weight loss tips. Don’t leave any stone unturned in order to find your way to your weight loss goals. If you want to take your efforts up a notch, you can hire professionals to provide you with support to lose weight. A personal trainer will meet with you as often as necessary, guiding you toward the best exercises that will work for you. Combine the aid of a nutritionist to make sure you eating the way that you should. You’ll find that teamwork offers you many advantages, especially when you are paying for it. You’ll have an added incentive to be successful as you aim on getting your money’s worth. 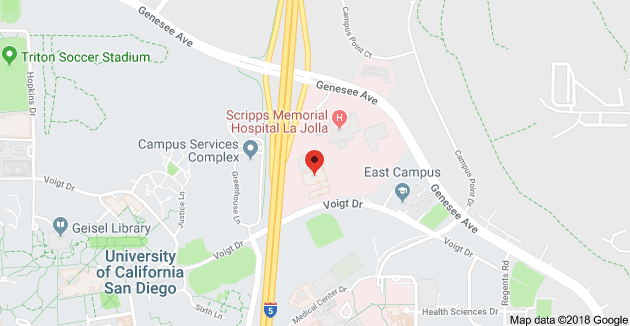 If you’d like to learn more about the excellent surgeons and weight loss support system at Olde Del Mar Surgical, give us a call to schedule a consultation at 858.457.4917. We offer so much more than weight loss surgery, we offer a path to a healthier lifestyle and the support system to get you there.